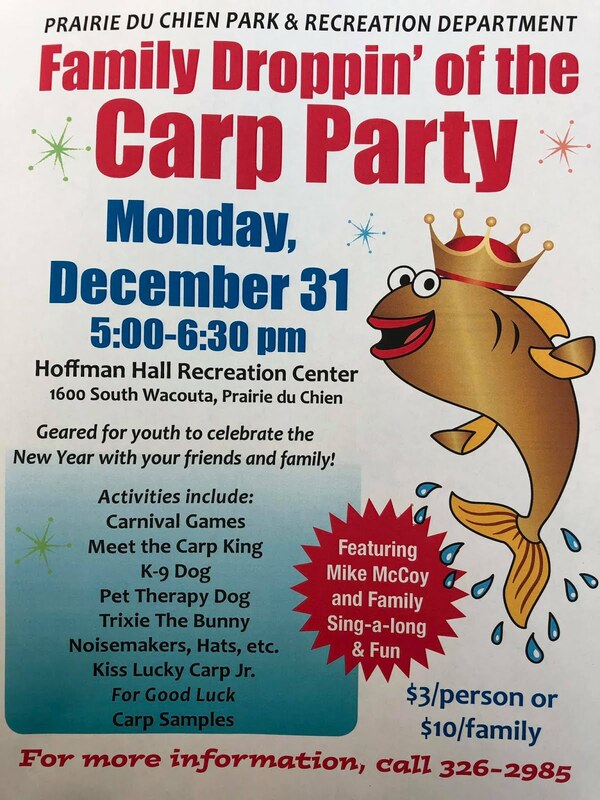 Droppin’ of the Carp, the infamous event for New Year’s Eve in Prairie du Chien, Wisconsin, is looking for a Carp King and Carp Queen to preside over the festivities. We try to keep ahead of that crystal ball thing they do in New York City. Thinks a Carp is really pretty. 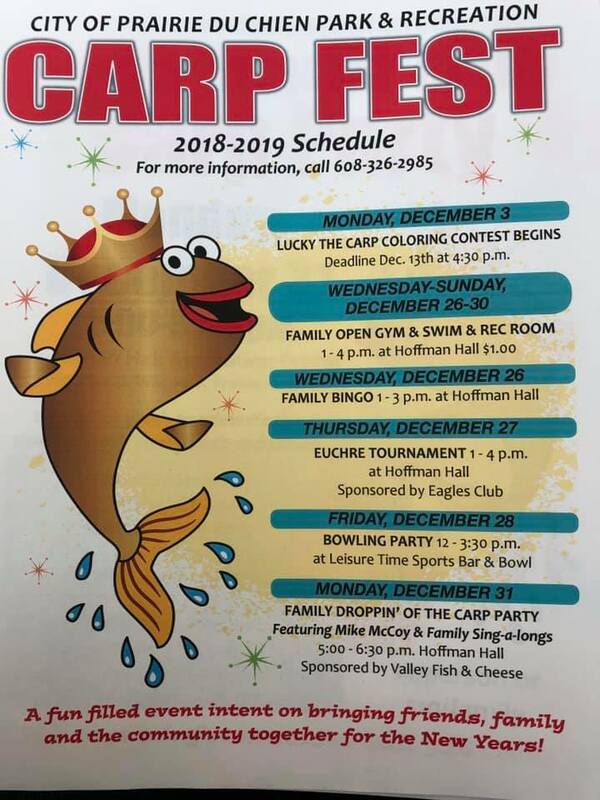 If you feel you have met this criteria and can flatter the thought of being Carp royalty, you are invited to enter the contest. The winners must clear their calendars for New year's Eve, at 11:00 pm. You will be presented with the title of king or queen. We have had very good kings and queens in the past and want to continue the tradition. If you know of anyone who you feel truly desires the title of Carp Royalty, you can enter their name. Or if you would like to be a king or queen enter yourself. 1. Use the online form here. 2. 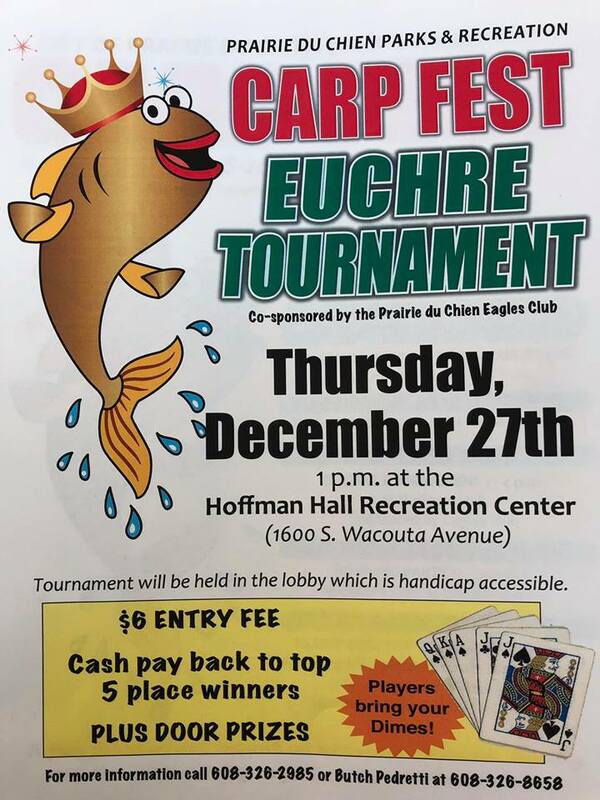 Send the contestant’s name, address and telephone number; along with reasons why carp royalty is befitting. Please refer to the criteria when writing the statement of credibility. Send to: Droppin’ of the Carp, Attn. 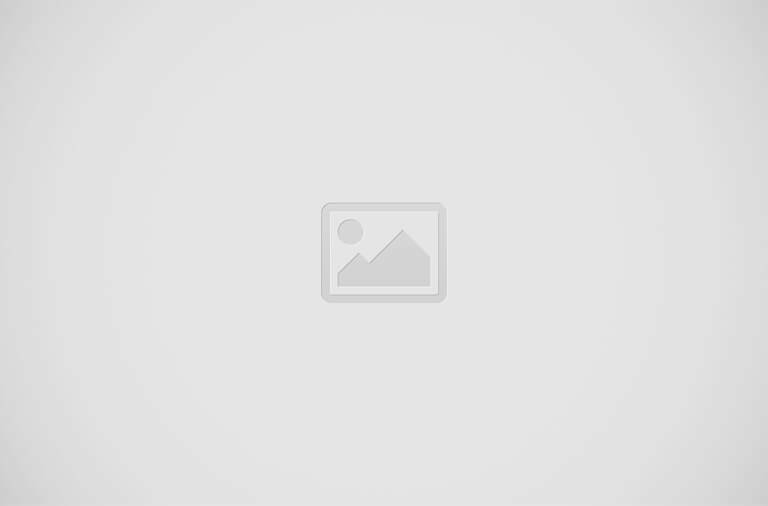 Royalty Committee, 128 South Prairie Street, Prairie du Chien, WI, 53821. All entries should be postmarked by December 26. It is not our responsibility if your letter does not reach us, so don’t come crying to us if you are not chosen because your letter is late.